The Passport ED binocular has a fully optimized optical system. Every optical element was computer optimized to work together to reduce or eliminate all aberrations. 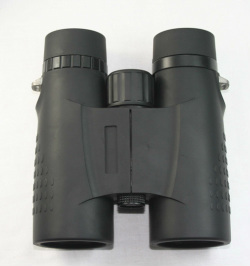 The Passport ED binocular features a triplet apochromatic objective lens utilizing on element of FPL51 glass. The eyepiece features a built in field flattener. The Passport ED binoculars offer an unmatched 8+ degree field of view with unbelievable edge correction - You must see it to believe it! If you enjoy watching insects and butterflies then you will love the close focus of the Passport ED binoculars. You can focus on your own feet! The Prisms are silvered and phase-corrected (PC) coated for the brightest image possible. The Passport ED binoculars come with a waterproof, shockproof, dustproof, air tight custom hard case.